Max Factor was a real person—founded in 1909, Maksymilian Faktorowicz, (1877–1938) was originally from Poland, and sold and made his own make-up line when he moved to Los Angeles, California. It was here he developed his own version of greasepaint for Hollywood actors. By 1935 Pan-Cake was available to the public, followed by Pan-Stik (1947), which is still a best seller today. In fact actresses used to steal the makeup when they went home before it was commercially available.These inspired some of the fashionable items available today, like Nars-The Multiple, and Shiseido’s Stick Foundation. People forget Creme Puff was the first all in one foundation with a powder base, and it came out in 1953. Now nearly all cosmetic houses now have at least one version of an all-in-one compact foundation. The brand became less fashionable, but has undergone several revamps to the image and packaging to make them more contemporary.Supermodel Candice Swanepoel created a Marilyn Monroe for a recent campaign, and Gwyneth Paltrow has been an ambassador for the brand. 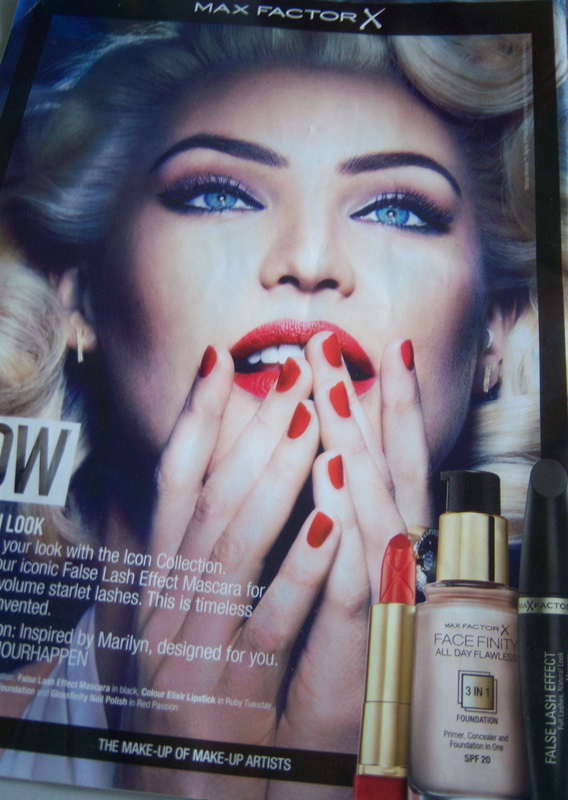 Affordable and contemporary, Max Factor has survived more than a century (now owned by Proctor & Gamble), which allows the brand to advertise, and stay ahead with the latest trends and color in the world of beauty. During the war era, women relied on Max Factor, and it was, and still is the make-up of make-up artists. Use Pan-Stik as a concealer; using a small brush blend into the areas of concern, then add another layer of foundation on top. By layering, it helps even out any imperfections without looking too heavy. It saves money on buying a separate concealer. If you are on a budget, a Creme Puff refill can be taken out and put into another compact. Use the money you save to buy a good sponge applicator—you should always keep one for touch ups, and another for application.